The Illuminus Arts Festival, held on the first weekend in November, did the near impossible. The artists used their talents to transform the drab streets around Downtown Crossing into a bright and colorful show of lights as art. They used their talents to showcase their creative use of light that also had messages for the public. This year the contemporary festival showcased twenty-seven projects. They were all based on light and sound manipulation by using technology that gave the viewers a virtual experience. The designs varied from projections of colorful shapes, patterns, and images onto different buildings. Also, audio-visual installations provided visitors a chance to interact with and explore the artworks that used voices, games, music, and performers. Most of the projects gave a powerful message that aimed to strengthen the community and celebrate cultural diversity. One sculpture that portrayed a starkly different message was called Boston 2070, a dazzling piece about climate change. 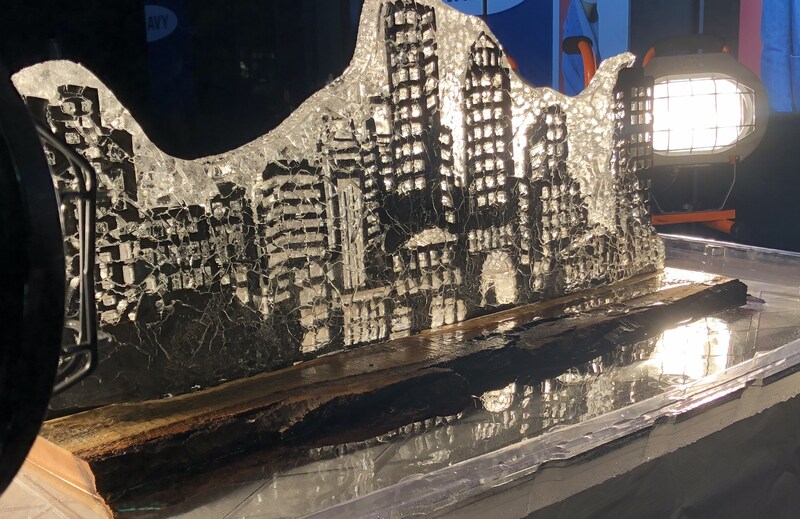 The skyline of the city was made out of steel and it was frozen into a block of ice, that was surrounded by four heat lamps. The more people who walked towards the piece, the more lamps would turn on and speed up the melting process. When the ice completely melted, it represented the effects that the city would face from a rise in the sea level by the year 2070. Illuminus partners with LuminArtz, a nonprofit agency that helps provide a platform for Boston-based artists, designers, and technologists, to display their work. Illuminus ARTS Festival has continued to grow featuring over forty artists and attracted a crowd of over 30,000 visitors throughout the last four years.